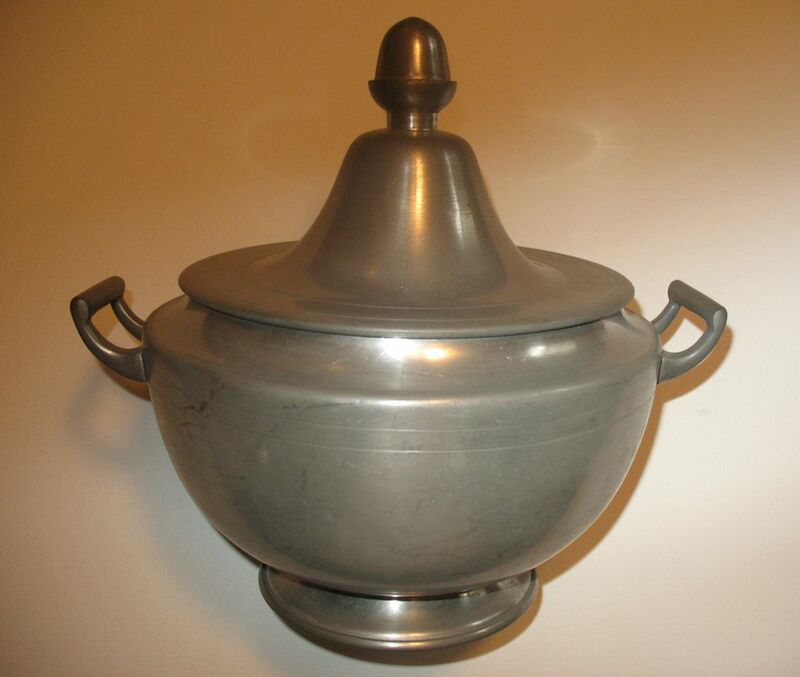 This is a wonderful, vintage Woodbury Pewterers soup tureen with lid. 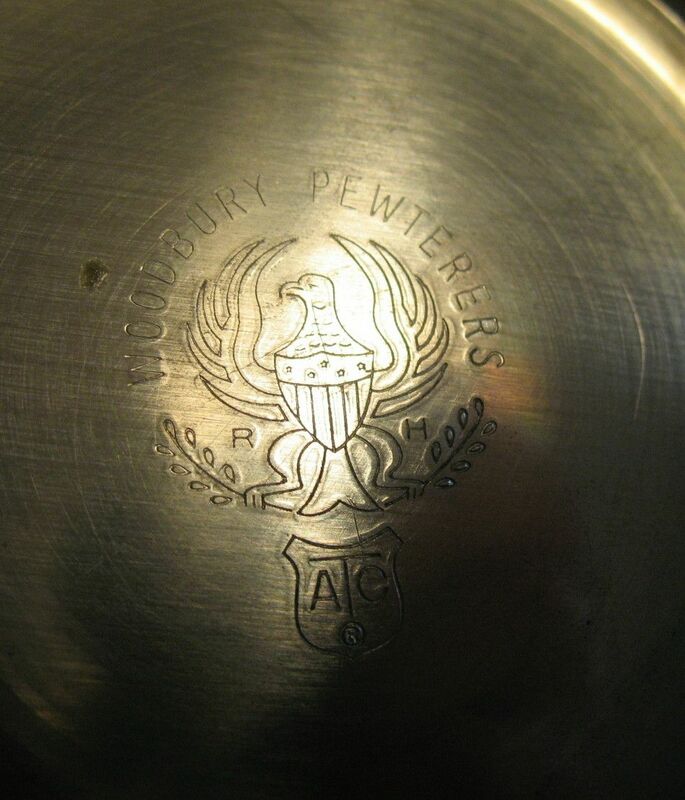 It is hallmarked on the bottom with the Eagle logo, Woodbury Pewters - RH initial and ATC in a cartouche. It measures 9 1/4" in diameter from handle to handle, stands 8 1/2" tall and holds about 1 1/2 quarts.